How can I implement a blizzard/snowstorm effect in a 2D platformer? I have a particle system for snow particles, but I need some kind of windblown texture similar to this as well: How do I create this windblown snow effect? Could I generate a windblown texture using perlin noise in Photoshop or something and sample it similar to the answer in this question about fog? How to create a 2D fog shader? In that case it would have to be more dense than the fog texture, so holes don't appear that you can peak through when sampling the texture. BTW I have a wind speed variable for my snow particles, could that be used for the windblown texture as well somehow? as you mentioned in your question you need some noisy windblown. particle system have part that called noise that you can moving your particles based on noise. you can easily make 2D snow effect by offsetting snowTexture by time. Here's a Fractal Brownian Motion (FBM) tutorial. The FBM above shouldn't be used directly in to your shader because it has many GPU calculations and decreases performance. Instead of using directly, you can render the result to a texture with RenderTexture. Shadertoy uses multiple passes, one per "buffer". As the name indicates, this pass stores the results in a buffer, which is just a texture. Unity will let you render to textures too. also this tutorial will learn you how to generate perlin noise. You can use this system both for a blizzard, fog, sandstorm, etc. effect by tuning the different shader parameters. The only asset you're interested in from this package is the shader "D2FogsNoiseTex.shader" it's in GLSL, but can be translated to any other shader language and used in any engine or framework. It takes a noise texture and applies the Perlin Noise algorithm to it using the shader parameters and scrolls it at a certain velocity. To make it look like a blizzard the most important things are tinting it white and setting horizontal and vertical speed quite high. Make it be affected by wind direction and speed: Set horizontal and vertical speed to your normalized wind direction multiplied by wind speed. Size should be small and the density should be high. Finally, add your own snow particles and make them be affected by the wind direction and speed as well. This will give a pretty convincing blizzard effect IMO. If you're unsatisfied with the look of the final texture being rendered on screen, you could use an external script with Python for example and generate a more specialized blizzard noise texture and edit the shader, so it doesn't apply the Perlin Algorithm, or simply edit the shader to give a different output from the noise texture. Not the answer you're looking for? Browse other questions tagged 2d shaders hlsl graphic-effects or ask your own question. 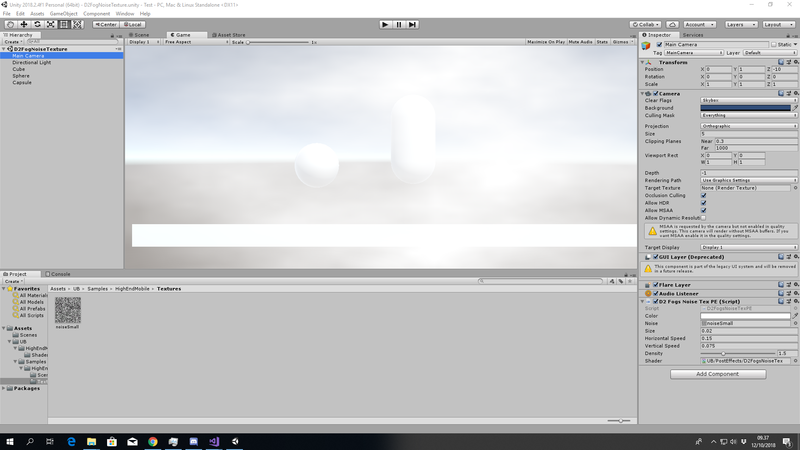 How can I easily create cloud texture maps? How to create a 2D fog shader? How do I create this windblown snow effect? 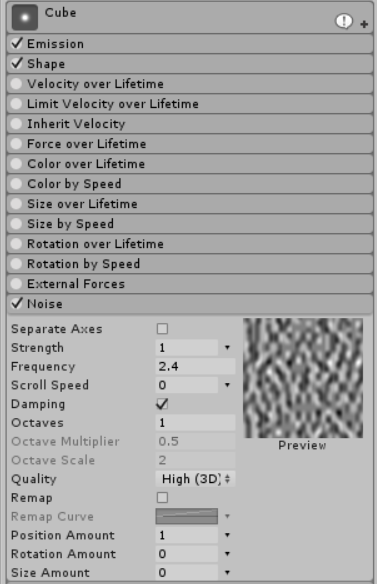 How do you add turbulence to a particle system using noise?